Johan Kristoffersson is the latest star name to bring FIA world title-winning pedigree to WTCR OSCARO by joining Sébastien Loeb Racing to drive a Volkswagen Golf GTI TCR in 2019. The back-to-back FIA World Rallycross champion, Kristoffersson also won the Scandinavian Touring Car Championship in 2018, a feat he achieved in a Golf GTI TCR run by his family team. Kristoffersson’s arrival at Sébastien Loeb Racing, alongside existing drivers Mehdi Bennani and Rob Huff, will require the French squad to field two separate entities in the WTCR – FIA World Touring Car Cup presented by OSCARO under new rules for 2019, which limit outfits to two-car teams only. A fourth, as yet unnamed driver, will complete the Volkswagen-powered SLR attack. Of the 10 WTCR – FIA World Touring Car Cup presented by OSCARO venues on the 2019 schedule, only the Hungaroring will be familiar to Johan Kristoffersson following his stint in the International Superstars Series in 2012. However, the ‘joker’ lap, which will be in use at WTCR Race of Portugal in Vila Real next July, will be second nature to the Swede. The ‘joker’ lap is inspired by the FIA World Rallycross Championship and requires WTCR OSCARO drivers to take an alternative route once in all three races in an effort to further spice up the action and aid overtaking on street tracks. Johan Kristoffersson will go from Sébastien Loeb’s World Rallycross rival to one of his drivers in the WTCR – FIA World Touring Car Cup presented by OSCARO. Loeb jointly owns Sébastien Loeb Racing with his business partner Dominique Heintz. 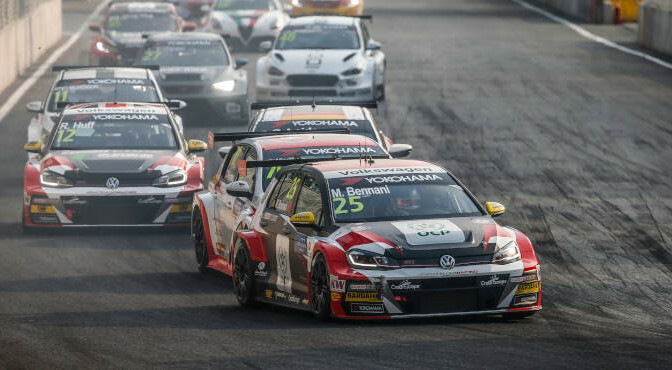 Kristoffersson’s second WRX crown came after he won 11 of the 12 rounds in 2018. The only event Kristoffersson didn’t win was in Mettet, Belgium, when Loeb took the victory. So what is Johan Kristoffersson’s background? An all-round superstar from Sweden, the 30-year-old is the son of former European Rallycross Championship stalwart Tommy Kristoffersson. Indeed, Johan was just four years old when his father placed third in the 1993 standings. After making his World Rallycross Championship debut midway through the 2014 season, the younger Kristoffersson scored his maiden win in 2015 and claimed the first of his back-to-back WRX titles in 2017. 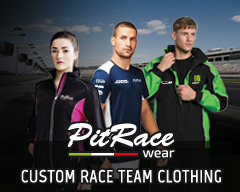 He’s also a double Scandinavian Touring Car champion and a three-time winner of the Porsche Carrera Cup Scandinavia. In 2012 he won the International Superstars Series at this first attempt. WTCR OSCARO 2019 takes place over 30 races on 10 weekends in three continents with the action getting underway at WTCR Race of Morocco in Marrakech from 5-7 April 2019.